Stephanie Elyse Sherman is a New-Orleans born, London-based producer specializing in collaborative systems. Working across design, art, and culture, her projects take shape as organizations, stories, and strategies that transform sites and scenarios of consumption into platforms for co-production. 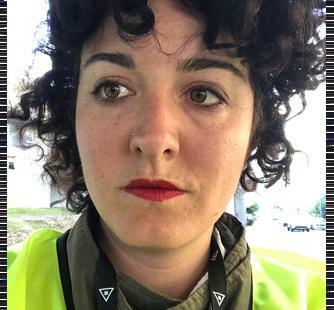 She is a co-founder of Elsewhere—a living museum and residency set in a former thrift store, Common Field—a national network of artist organizations, and currently a co-producer at radioEE.net—a nomadic, multilingual online radio station. She is also a Phd Candidate in Art + Design at the University of California San Diego, where she writes about the intersection of social and speculative design. Stephanie holds a MA in Philosophy from Duke and a BA in Literature from University of Pennsylvania. Her projects have been supported by The Andy Warhol Foundation for the Visual Arts, the National Endowment for the Arts, the Open Society Foundation, and many others.